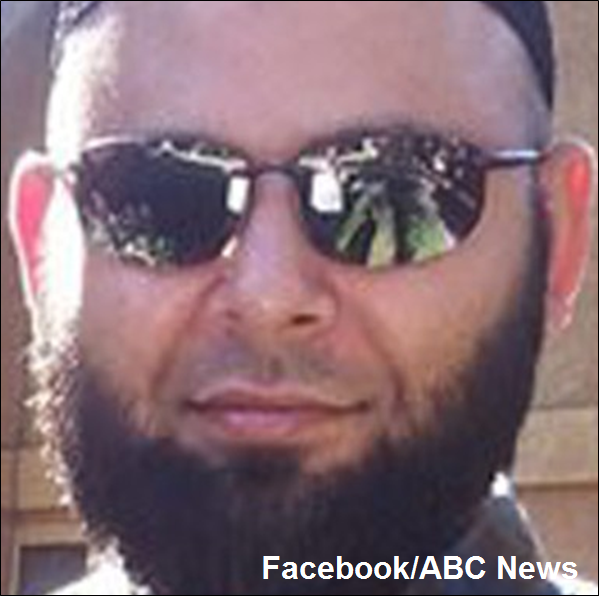 Nadir Soofi was an American-born ISIS supporter who attacked a “Draw Muhammad” cartoon contest in Garland, Texas, on May 3, 2015, alongside Elton Simpson. The pair shot and wounded a security guard with AK-47s before they were shot and killed by police.“Phoenix Man Convicted of Conspiracy to Support ISIL and Other Terrorism-Related Offenses,” U.S. Department of Justice, March 17, 2016, https://www.justice.gov/opa/pr/phoenix-man-convicted-conspiracy-support-isil-and-other-terrorism-related-offenses. ISIS swiftly claimed responsibility for the attack and referred to Simpson and Soofi as its “soldiers.”Holly Yan, “Texas attack: What we know about Elton Simpson and Nadir Soofi,” CNN, May 5, 2015, http://www.cnn.com/2015/05/05/us/texas-shooting-gunmen/. Soofi reportedly drew inspiration from al-Qaeda in the Arabian Peninsula propagandist Anwar al-Awlaki.Dan Frosch and Ana Campoy, “Mother of Texas Gunman Sought to Keep Son From Extremism,” Wall Street Journal, May 6, 2015, http://www.wsj.com/articles/mother-of-texas-gunman-sought-to-keep-son-from-extremism-1430951298. Dan Frosch and Ana Campoy, “One of Texas Gunmen Had Previously Drawn FBI’s Attention,” Wall Street Journal, May 4, 2015, http://www.wsj.com/articles/one-of-texas-gunmen-had-previously-drawn-fbis-attention-1430753373. Soofi moved to Phoenix, Arizona, and reportedly worked as a taxi driver. He also owned several businesses including a carpet-cleaning service and a pizzeria.Dan Frosch and Ana Campoy, “One of Texas Gunmen Had Previously Drawn FBI’s Attention,” Wall Street Journal, May 4, 2015, http://www.wsj.com/articles/one-of-texas-gunmen-had-previously-drawn-fbis-attention-1430753373. Soofi hired Simpson to work at his pizza shop, and told his mother that though Simpson had a criminal record, he had converted to Islam and was trying to reform his life.Dan Frosch and Ana Campoy, “Mother of Texas Gunman Sought to Keep Son From Extremism,” Wall Street Journal, May 6, 2015, http://www.wsj.com/articles/mother-of-texas-gunman-sought-to-keep-son-from-extremism-1430951298. Soofi himself had previously had legal issues. He was sued in 2012 for showing a closed-circuit boxing match in his pizzeria without a commercial license. Soofi was ordered to pay approximately $10,000 in damages. In addition, in 2013, Soofi was ordered to pay $4,800 in past child support to his child’s mother, Tabbatha Banayat.Dan Frosch and Ana Campoy, “One of Texas Gunmen Had Previously Drawn FBI’s Attention,” Wall Street Journal, May 4, 2015, http://www.wsj.com/articles/one-of-texas-gunmen-had-previously-drawn-fbis-attention-1430753373. According to Soofi’s mother, her son would often speak about Islam during their phone calls and blame the United States for its role in the Middle East. Soofi would also frequently talk about Anwar al-Awlaki, and would reportedly send his mother DVDs of Awlaki’s sermons. According to his mother, Awlaki’s 2011 death “instigated a deeper passion for his teachings” in her son.Dan Frosch and Ana Campoy, “Mother of Texas Gunman Sought to Keep Son From Extremism,” Wall Street Journal, May 6, 2015, http://www.wsj.com/articles/mother-of-texas-gunman-sought-to-keep-son-from-extremism-1430951298. According to Soofi’s maternal grandmother, Soofi was “a practicing Muslim, but wasn’t no fanatic about it.”Dan Frosch and Ana Campoy, “Mother of Texas Gunman Sought to Keep Son From Extremism,” Wall Street Journal, May 6, 2015, http://www.wsj.com/articles/mother-of-texas-gunman-sought-to-keep-son-from-extremism-1430951298. Soofi’s mother reportedly called Soofi in January 2015 after she learned from her other son that Nadir had purchased an AK-47 off of Craigslist. Soofi reportedly told his mother that shooting was just a hobby and that he had gotten rid of the automatic rifle.Dan Frosch and Ana Campoy, “Mother of Texas Gunman Sought to Keep Son From Extremism,” Wall Street Journal, May 6, 2015, http://www.wsj.com/articles/mother-of-texas-gunman-sought-to-keep-son-from-extremism-1430951298. Place of Birth Garland, Texas, U.S.
Nadir Soofi was an American-born ISIS supporter who attacked a “Draw Muhammad” cartoon contest in Garland, Texas, on May 3, 2015, alongside Elton Simpson.